I just returned from the most amazing expedition adventure to Antarctica – the end of the world! 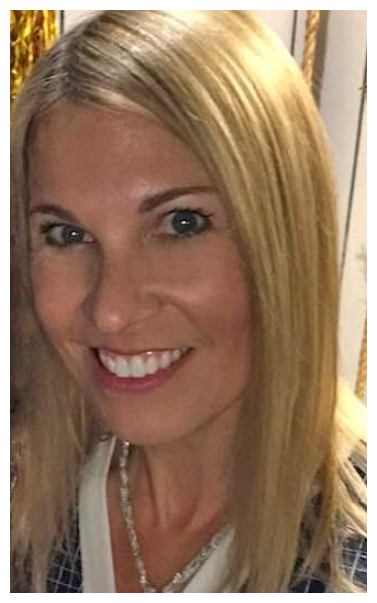 It was a long haul from San Diego, and while traveling I crossed too many time zones to count. The imaginary latitude ‘lines’ going north to south are very close together as they originate at the South Pole, so we would easily cross two time zones a day just traveling by boat. Keeping track of time was futile with my cell phone (poor thing was very confused and thought I was in Australia). 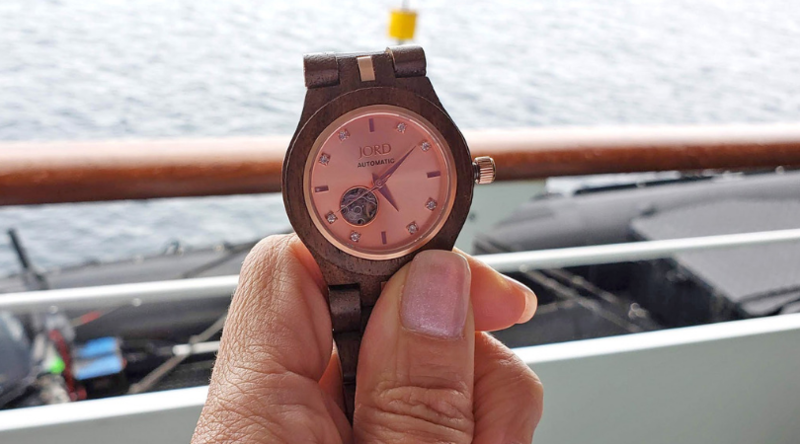 Thankfully I wore this beautiful JORD Koa and Rose Gold watch throughout the trip. 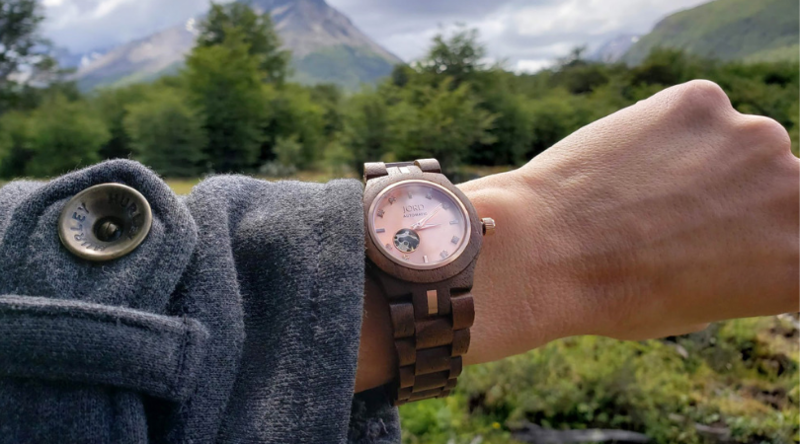 It was so easy to update the time zones, and it was both stylish and sturdy! 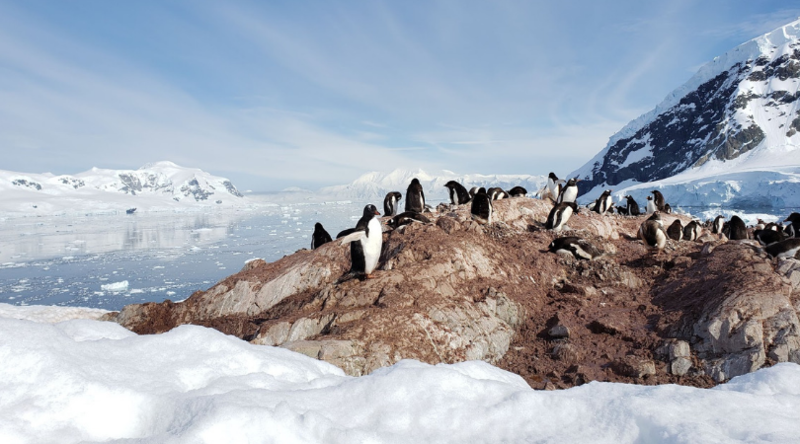 The Antarctic is a sensitive place ecologically and is under constant duress from climate change. 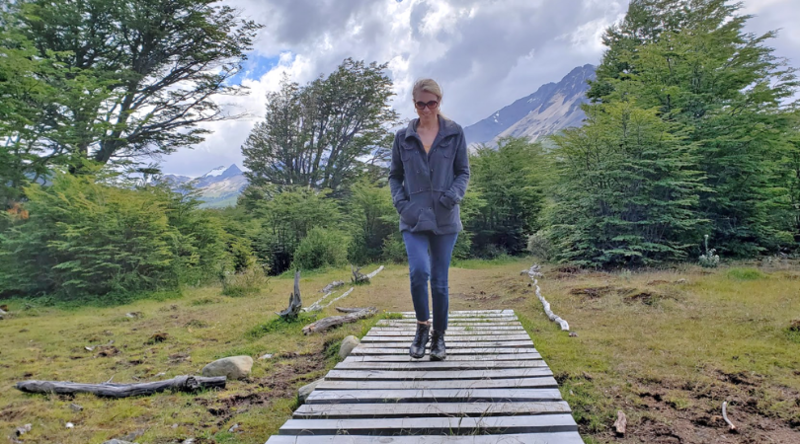 Sadly, I was able to see the changes first hand and how it’s affecting wildlife, so it just re-energized my commitment to tread softly on the planet. 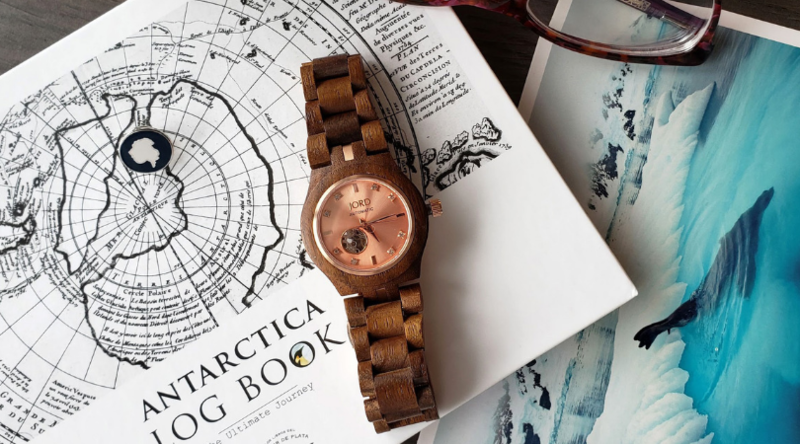 I love that the JORD watches are crafted with a sophisticated mix of natural and largely re-claimed materials. 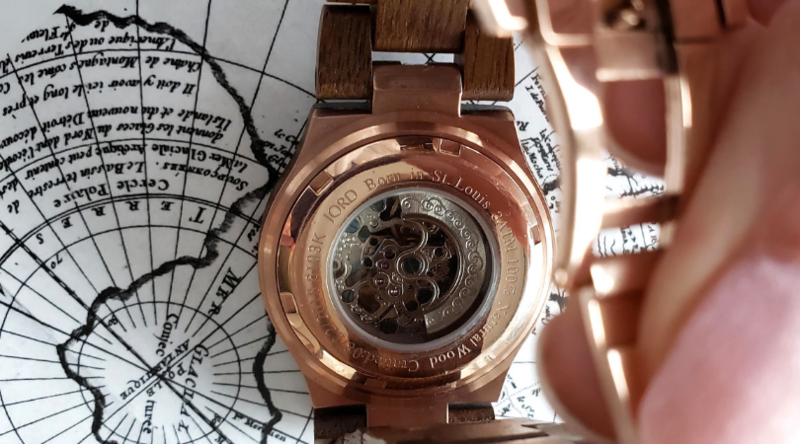 The watches are a sophisticated mix of natural, and largely re-claimed materials, combined with quality movements and components. Here’s a picture of the backside – you can see all the intricate parts moving, and no battery needed! Simply wind every few days to keep the watch humming along, keeping perfect time. I had tons of compliments on my watch. The dinners were somewhat dressy every night, so my JORD watch was both functional and served as a jewelry piece as well. 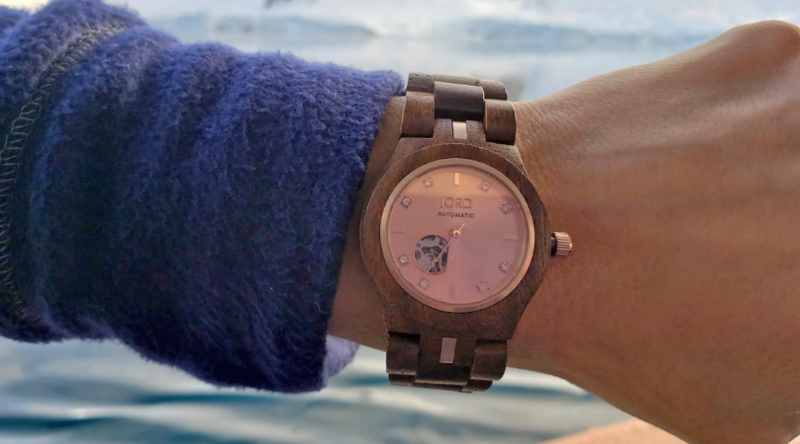 Valentine’s Day is coming and a mens or womens JORD watch would make a beautiful gift! Check out their selection here. Most watch backplates can be engraved! 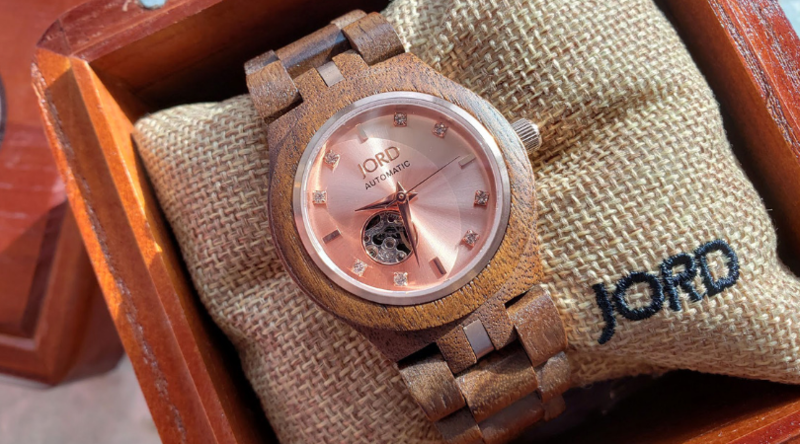 The JORD watches also come in a gorgeous all Cedar humidor presentation boxes and they are also engravable. 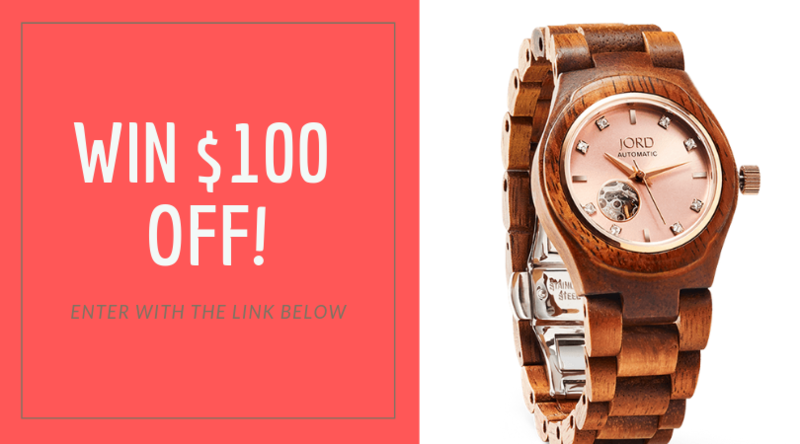 WIN $100 OFF ANY JORD WATCH – Simply Enter here! 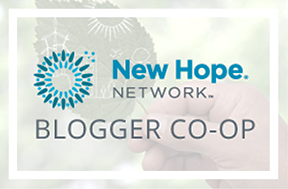 Everyone who enters will have the chance to will a $100 discount code to JORD. 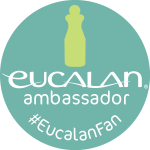 Everyone who enters will receive 10% off – contest ends 3/4/2019. Thank you to JORD Watches for the watch to review.